What starts as bad dreams leads to changed personalities, bullying and finally death in this supernatural novella - Caroline Gibbs a young riding instructor, loved by all of her friends changes after a series of nightmares which seep from her dreams into reality. It is a race against time to get back her life and save those around her. A series of nightmares leaves her personality changed, colleagues suspect that an accident has caused some hidden brain injury but the truth is more terrifying as a ghost from the past takes over her mind and body until she is left struggling to survive. 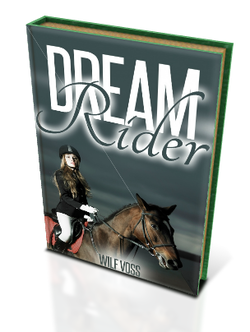 Dream Rider is currently in pre-publication and shortly will be available via all major online book stores such as Amazon and iTunes.